Wireless networks are known to be fickle beasts, delivering inconsistent speeds and disconnecting throughout the day. However, there are steps you can take to bring your network—and browsing experience—back to 100 percent. NetSpot Pro for Windows allows you to visualize, optimize, and troubleshoot your wireless networks with any PC or Mac so you can get the best connection possible at all times, and it's on sale for $39 in the Boing Boing Store. 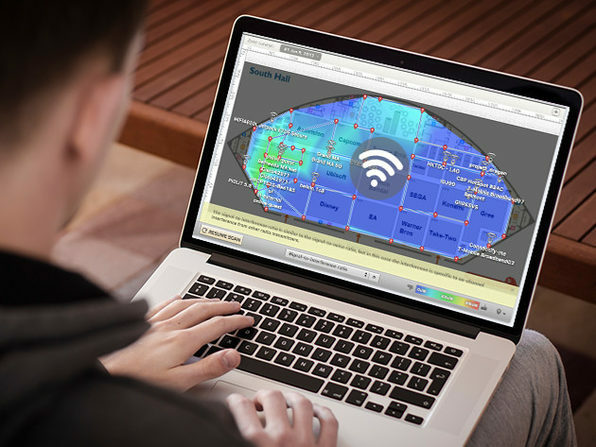 With NetSpot Pro, you can analyze your Wi-Fi coverage anywhere you are or plan on being. Using the mapping feature, you can create a comprehensive heatmap of your network, cluing you in as to where the strongest and weakest points of connectivity are, as well as where dead zones might be lingering. Plus, NetSpot includes a troubleshooting tool, so you can diagnose and fix connectivity issues and get back online faster. Lifetime licenses to NetSpot Pro for Windows and Mac are available today for $39 in the Boing Boing Store.